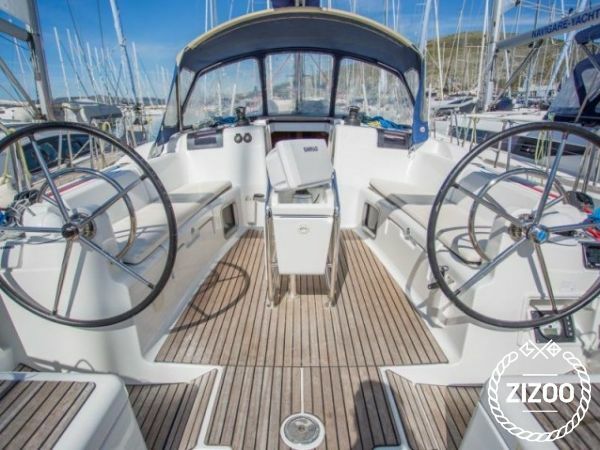 If you're looking to make some unforgettable holiday memories this summer, why not book the Victoria of Sweden, a 2011 Jeanneau Sun Odyssey 439 sailboat. Based in Sibenik, this fantastic boat features 4 cabins that sleep 8 comfortably, 2 bathrooms, a charming kitchen and a cosy salon. For a spectacular experience, we suggest you take your friends and family and explore the Kornati Archipelago. Discover this beautiful union of sea and stone, and take in the wonderful scents of lavender, oregano, myrtle, sage and thyme. Sit on deck and watch as the 'Crowns of the Kornati', the steep and spectacular cliffs, rise before you. On Piskera you can visit the Chapel of the Assumption of Angela, built in 1560, and the only sacred fishing shrine in Croatia. For some scrumptious, traditional homemade cuisine, head over to Klif, a nearby restaurant that serves up delicious house specialties, like lobster stew. If that is not enough to entice you, why not contact the local charter crew to find out more about your next holiday on the Adriatic. radio is not working. not enough glasses and plates for everyone.